Steve Jobs was, regardless of your personal feelings about him, an innovator who literally changed the course of our nation, culturally speaking. The man was an artist, a complex individual with an incredible story behind him. Unfortunately, the film “Jobs” did not do enough to give Mr. Jobs a proper sendoff into history. This was little more than a transcript of some major events in Steve Jobs’ life. The sad thing is that the film only narrated that these events happened while totally failing to explore any of the emotional impact behind the events. This could barely even function as a biopic. 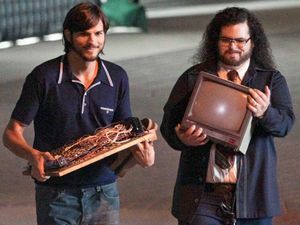 The movie focused more on the corporate structure and evolution of Apple computers, from its garage days to Steve Jobs’ return, but this was supposed to be a movie about a man, not a company. This movie should have been called “Apple, 1970’s to 2001.” Even then, we’ve seen how a movie about a company should properly be made. One can’t help but compare this film with “The Social Network,” which showed us how the story of business, greed, corruption, and ideology is truly an epic journey. “Jobs” only told us that Apple happened. The real victim here is Ashton Kutcher. Kutcher was limited to having to portray a man that we already know so well, so his performance was about 90% imitation of Jobs himself. 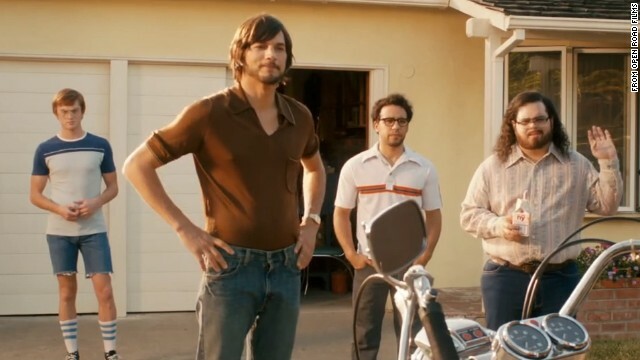 But even with that range, Kutcher showed that he can actually thrive as an actor in a dramatic role. The film was a disappointment, somehow managing to be overly dramatic without ever showing us anything actually dramatic… When a movie about a man who changed the face of technology chooses to ignore the man’s life, and totally fails to even mention his most impressive innovations, it is sadly just a failure on so many levels. I guess we’ll have to wait a few years before we see a movie that gives a proper sendoff to Mr. Jobs, and I’ll put my money on a future Jobs being played by Daniel Day Lewis. This entry was posted on Monday, August 19th, 2013 at 12:48 pm	and is filed under Film, News. You can follow any responses to this entry through the RSS 2.0 feed. You can skip to the end and leave a response. Pinging is currently not allowed. ...It's this whole 'nuther country.